As thousands of students head off to university Seaward Electronic is reminding young people to be vigilant about the safety of their electrical appliances. And the worry isn’t unwarranted – government statistics for 2016-17 show that faulty electrical appliances were the second largest cause of accidental house fires in the UK. Seaward MD Andrew Upton said: “Students traditionally get packed off to university with appliances like kettles and toasters. 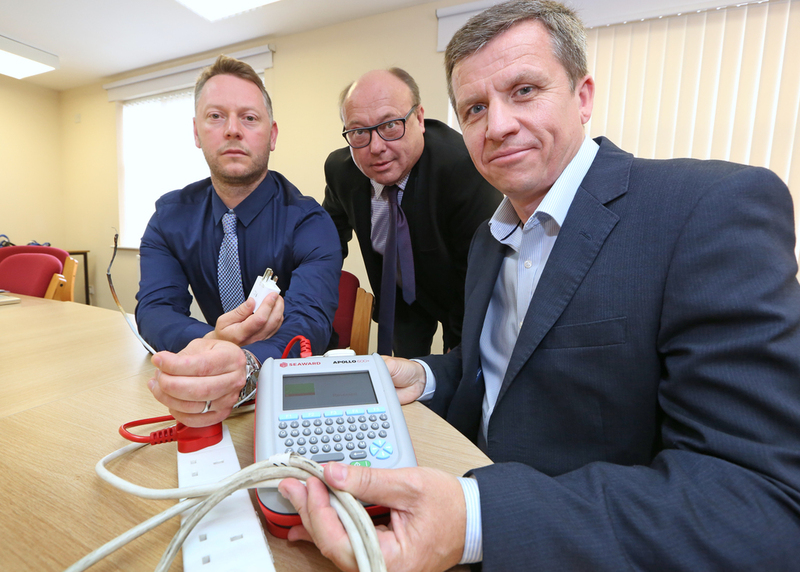 Earlier this year Seaward launched a campaign with MP Grahame Morris – urging policy makers to change the law to require landlords to carry out regular electrical testing on the appliances in their rental properties. Mr Morris has sponsored an Early Day Motion calling for the topic to be debated in Parliament and support for the national campaign is growing. Quick and simple measures such as PAT testing can highlight problems the tenant or landlord may not be aware of, such as simple wear and tear, recalled items or counterfeit appliances that don’t meet UK safety standards. And it’s not just faulty appliances to watch out for. Replacement phone and laptop chargers purchased cheaply online might seem like a convenient solution – but they are potentially dangerous. Andrew warned: “Often these cheaply manufactured products are poorly constructed – causing issues like fraying and breaking or putting them at risk of overheating.